5,000 lb Capacity, Height Range 33-56"
5,000 lb Capacity, Height Range 28-44"
5,000 lb Capacity, Height Range 16-25"
Operator Interfaces: HMI or Pushbutton? 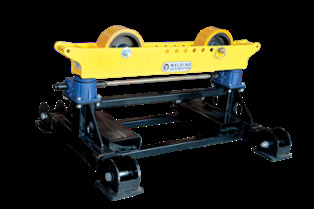 LJ's geared, height adjustable pipe roller stands offer a range of customizable options to meet your fabrication needs and can be height adjusted under load. 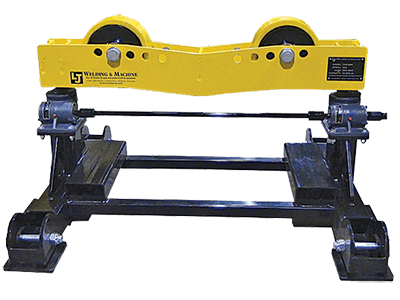 Diameter Range 4" - 48" 8" - 60"
Add a welding positioner & elbow jigs for maximum spooling productivity.